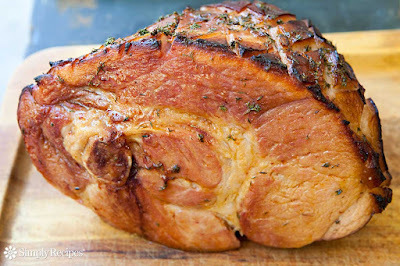 Three neighbours gave $ 4.00 each and bought a ham (without skin, fat, and bones). One of them divided it into three parts asserting that the weights were equal. The second neighbour declared that she trusted only the balance of the shop at the comer. There, it appeared that the parts, supposed to be equal, corresponded to the monetary values of $ 3-00, $ 4-00 and $ 5-00, respectively. The third partner decided to weigh the ham on her home balance, which gave a still different result. This led to a quarrel, because the first woman kept insisting on the equality of her division, the second one recognized only the balance of the shop, and the third only her own balance. In what way is it possible to settle this dispute and to divide these pieces (without cutting them anew) in such a way that each woman would have to admit that she had got at least $ 4-00 worth of ham if computed according to the balance which she trusted? Get your brain cracking and come up with the answer!